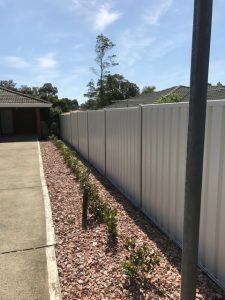 When smart property owners in the South West of Western Australia require fencing contractors in Collie, they commission the custom fencing services of Team Work Fencing Contractors. At Team Work Fencing, we perform commercial fencing installations and repairs of chain mesh fences, palisade security fences, Garrison fences, rural farm fences and pool fences, with a focus on serving Collie-based clients in the industrial, agricultural and aquaculture tourism sectors with speed and professionalism. Our company also caters to residential property owners looking to enhance the security, privacy and aesthetic appeal of their homes. We install, maintain and repair HardieFence™ fences, PVC vinyl fencing, EZI-SLAT® Aluminum Slat Fencing, COLORBOND® fencing and much more. You tell us what you need, we make it happen. For those who prefer a more natural look or materials, wood fencing is an option for both homeowners and business landowners. In fact, TWF offers wooden fence varieties to suit many different applications. Decorative fencing, rural fencing and brushwood fences are just a few of the choices available. In addition to the above, our experienced fencing contractors in Collie can install custom features to enhance the security and practicality of your fencing and/or improve its appearance. We can add matching gates, cladding, toppings, razor/barbed wire and supplementary panels and materials, among other extras. Have a fencing project that you need executed quickly, professionally and affordably? Give Team Work Fencing Contractors a call on 08 9795 3447 to discuss your needs. Alternatively, you can request a free quote or browse our website to learn more about our environmentally friendly fencing services.